When we look at megatrends affecting society as a whole, we hear a lot of reference to the Internet of Things (IoT). At the heart of this is the idea that all manner of devices are more intelligent and connected than in the past, constantly providing and consuming information via Internet services. In your home, this can take the form of devices such as appliances and security systems that you can monitor and control over the Internet. You’ve likely seen this type of ”modern home” functionality featured in TV commercials. 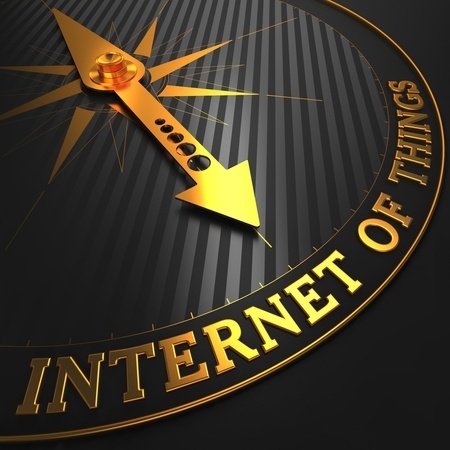 The term IoT may be relatively new but the trend has been around and growing for quite some time in various industrial and even commercial environments. However, the scale of deployment has grown exponentially and the degree to which we rely on these connections has gained critical mass. All the IoT talk has certainly served to raise the profile of the communications and control systems that leverage and make sense of all that data. Today these systems and information are critical for driving improvements in productivity, quality and system availability. That’s why it’s important for companies to take a fresh look at how they’re protecting various components of their business operations and industrial processes from a very real danger: loss of power and other power related disturbances. Mains power constitutes the primary power feed to a system or appliance, often the only feed. Brains power constitutes a separate power feed to the intelligence of the system. Think of the furnace and thermostat in your home. You have the main power to the furnace and a separate lower power feed to your thermostat. It would be a costly endeavor to provide an alternative to utility power for your furnace. If, however, you have an internet enabled thermostat, it would be nice to retain access to that system as well as other systems connected to your home network in the event of a power loss or circuit interruption. The cost of protecting this intelligence or “brains” in the system would be much less than protecting the main power to appliances. The parallels to this in Industrial and Commercial environments are everywhere and the stakes are typically much higher. In an industrial environment, such as a plant floor, there are certainly some “mains” loads that warrant full power protection. This could be any process or piece of machinery that would cause significant harm or damage if it were to shut down unexpectedly due to a power outage. In a critical commercial environment, such as a hospital, it might take the form of an MRI machine – because of the cycle time and revenue cost, not to mention the aggravation of forcing a patient to go through the MRI process again. Critical mains loads should be protected by an uninterruptible power supply (UPS) system of a sufficient size to handle the electrical load on its own, for some reasonable period of time. Typically, these are larger UPS systems, such as a 3-phase, 460-volt unit. In some cases, these UPS systems work in tandem with generators providing power during transition time after a utility outage. Most companies can’t cost-justify supplying main power UPS backup for all of their machinery, processes or business systems (a topic I covered in a previous post). However, the extent to which we rely on the intelligence in these systems means we may well want to ensure the systems for controlling the process or system, the “brains,” stay up and running at least for some time. In an industrial environment, “brains” would include items like sensors and process control systems (such as programmable logic controllers, or PLCs) as well as the networks that enable them to communicate. In a business environment, it may include building management and security systems as well as PCs or servers attached to one or more pieces of equipment, collecting data or controlling processes, and again, any network connections over which important data flows. In the event of an outage, one or more relatively small UPS installations could enable these systems to keep functioning for a period of time, long enough to provide for effective system shutdown and to collect data that could prove quite valuable. In an industrial environment, the data could help determine the cause of the outage, exactly when it occurred and preserve data that will enable a faster restart. It’s important to note that a single UPS may be able to back up a group of “brains” systems and some level of related network infrastructure. Let’s consider the hospital example again. While hospitals typically find it is warranted to back up MRI machines, that is not always the case for other modalities such as X-Ray machines, simply because X-Ray scans take far less time to complete and restarts are less troublesome. If the hospital has to repeat a procedure, it’s not as great of a burden on the patient or staff. What they may want to protect, however, is the brains behind all the imaging equipment, meaning the devices that collect image data and monitors processes. That is likely to include servers or PCs or embedded electronics that again would require a relatively small UPS to do the job, even if the system serves more than one machine. And the benefit could be saving images that have already been processed, or just being alerted that the machine is down. Another good example in almost any modern industrial or commercial environment is security systems. We are relying on more and more IP enabled camera systems that are connected and often powered over Ethernet networks serving DVR equipment. These systems do not become less critical in a power disruption and, for many enterprises, quite the opposite is true. The entirety of these systems constitutes “brains” applications that typically warrant UPS backup. Examples of machines, processes and devices that could benefit from UPS backup are all around us, especially in this IoT era. Companies need to start asking hard questions about what happens to their various systems should they lose power. What does it take to get the systems back up and running? What sorts of critical data may be lost? Answering those questions amounts to performing a basic assessment to determine what level of risk is acceptable in various parts of your business. A more formal risk assessment may also be justified. Only then will you be able to say which systems warrant backup, be they mains or brains. I’m interested in your thoughts on this issue. How is your company ensuring power protection for its critical systems and is the conversation changing? Let me know in the comments below.